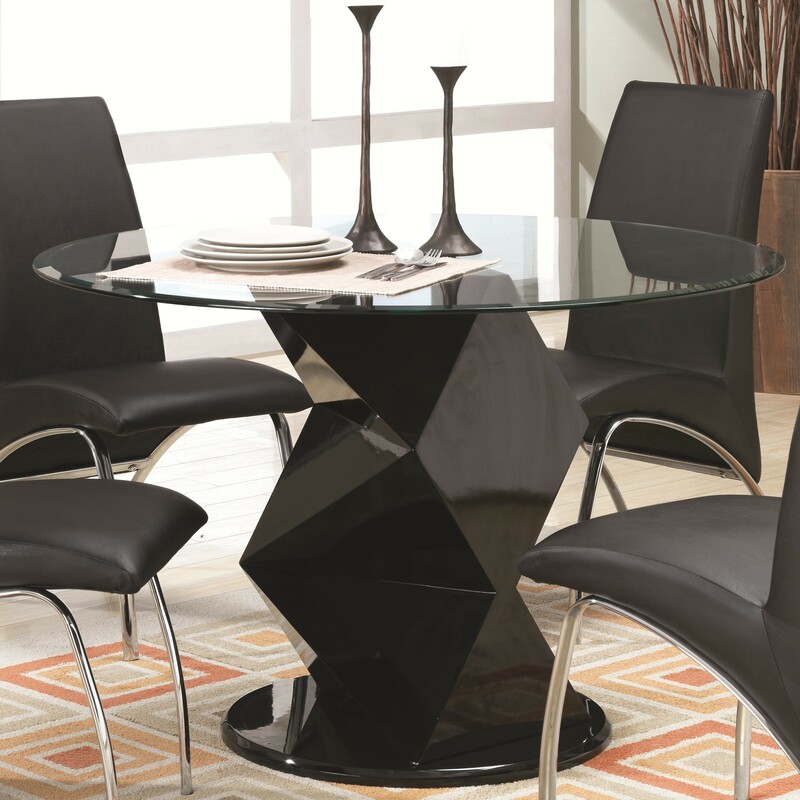 This mod dining table is decked out with a smooth round glass top and a unique black base with geometric zigzag facets. 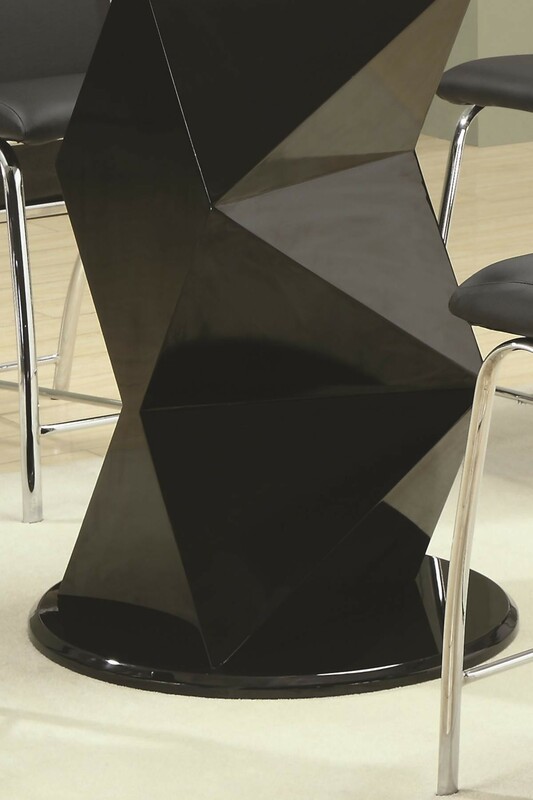 The round table and pedestal base balances out the sharp crystalline shapes of the pedestal. 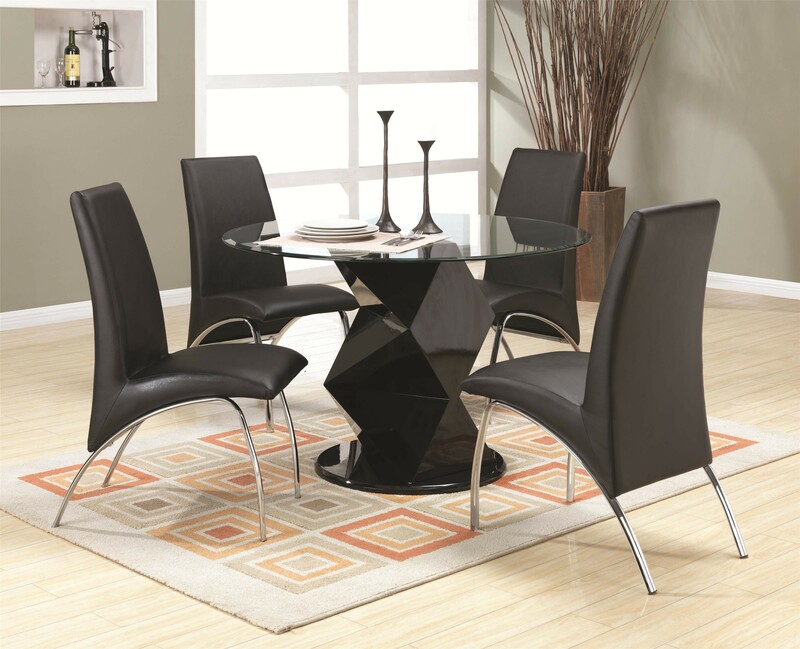 The round table top is complemented by the arched side chairs. 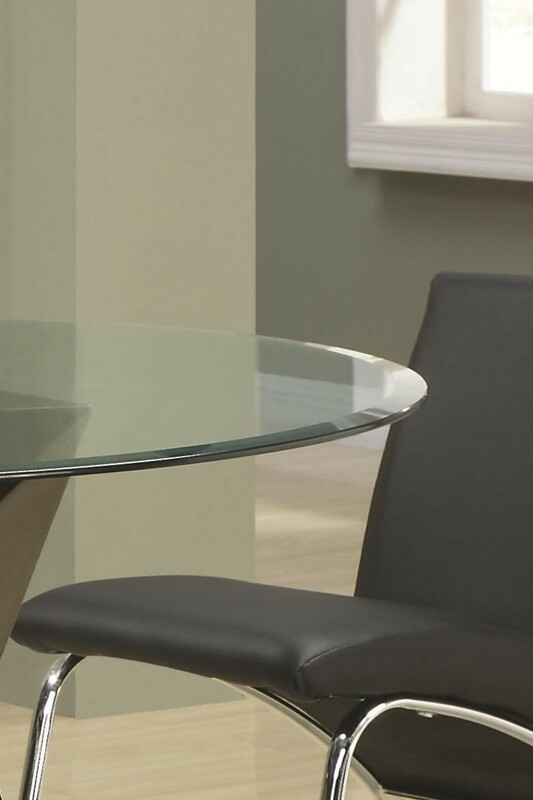 Both the table and chairs are made to stand up to everyday wear and tear, the table is made out of super strong tempered glass and the vinyl chairs are easy to clean and take care of. This ultra modern collection features cool contemporary design details that will leave their mark on all the guests who come into your home. 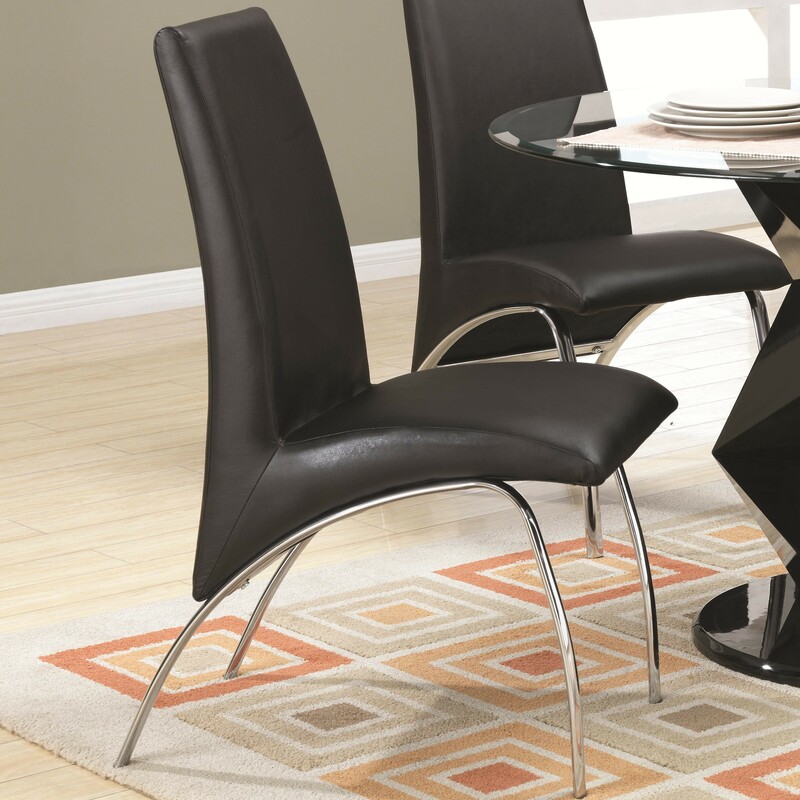 Dining tables are decked out with faceted zigzag table bases or bold black or white "X" bases topped off with cool glass table tops in simple geometric shapes. The intriguing shapes of the tables are accented by arched black or white vinyl chairs, curved into a shape reminiscent of high motion. While this collection looks like a work of art it is built to stand up to everyday uses. 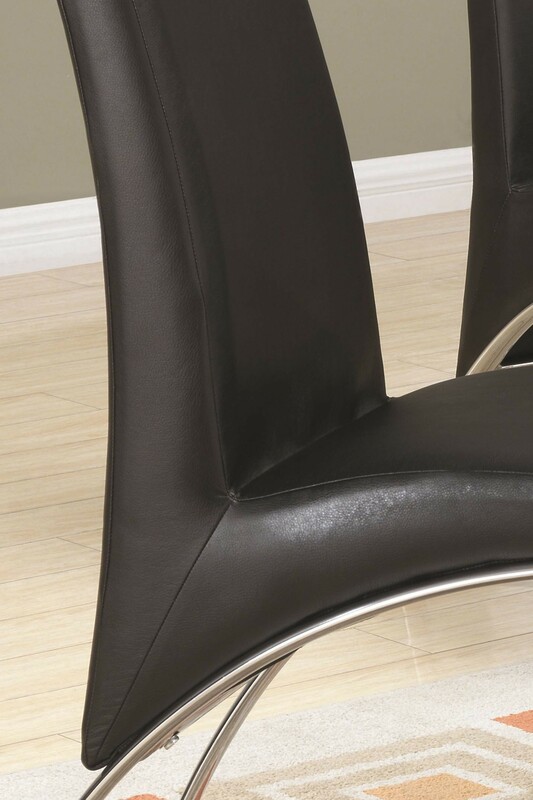 Vinyl chairs are spill resistant and glass table tops are made of extra strong tempered glass, five times stronger than ordinary window glass.